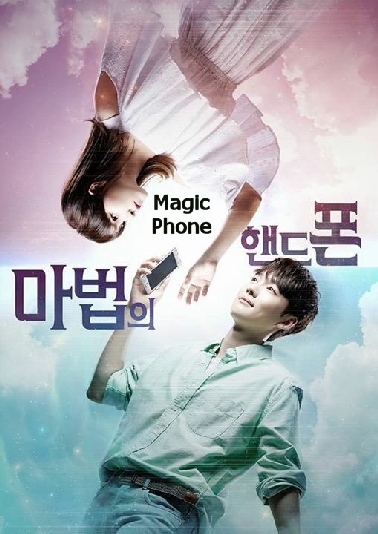 I watched this short drama Magic Phone (2016) on streaming Netflix when it was added summer 2017. Sadly I thought it badly written and very silly and there were too many amateur actors in the cast who were a bit of a trial to watch perform, for the seasoned K-drama viewer at least. Newbies to K-dramas possibly might enjoy it more than I did. It was definitely geared to a teenager audience because not too many things made sense -- for instance a model is pushed off the top of a rooftop and no one mentions her again, the neighbors and police never investigate, she just disappears. Not in the real world, writers! Also I tried but I could not get past the feminine look of the male lead in this drama, Kim Jin Woo from the boy group Winner, who was debuting as an actor for the first time (and often it was painfully obvious). Many times he and the actress he played opposite as his love interest, Park Min Ji, looked like sisters rather than sweethearts! Calgon, take me awaaaaay!!!  The Story: We are introduced to two characters right in the beginning who are supposed to be our romantic pairing: a cute young man (?) who sells makeup and perfume (egad!) in a shop, named Oh Tae Ji (Kim Jin Woo), and his first childhood love (of course!) Lee Ji Hee, who is known professionally as a popular new model named Latte (Park Min Ji). They meet again as adults when Latte has an autograph and fan meet event at the makeup store where Tae Ji is working. What a coincidink! Tae Ji recognizes her immediately but Latte pretends she doesn't know who he is, at first we think because of an over-inflated ego, but later we learn it's because she was trying to protect him. You see her manager Ma Dong Sik (Kwak In Joon) is an evil, over-controlling man who has threatened her and her family in the past, and she doesn't want to call his attention to her recognizing a male friend from her past. Tae Ji is concerned she does not recognize him but keeps silent. 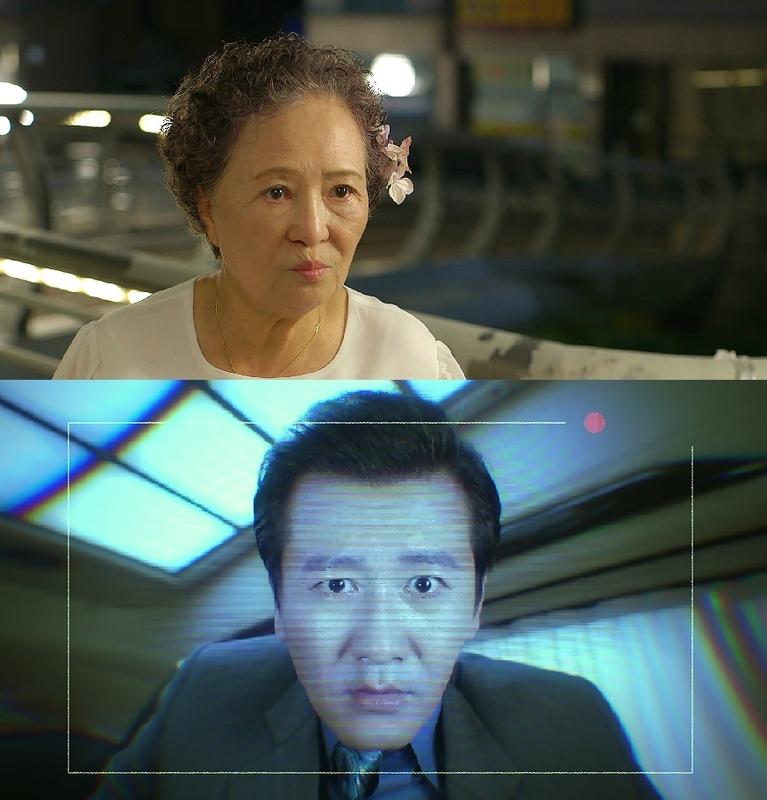 Shortly later Tae Ji is given a magic cellphone from a mysterious old lady (veteran actress Nam Jung Hee, who has been in more K-dramas than I can count) who tells him he can use this special phone to protect the person he loves. Turns out this old lady is none other than Latte's deceased grandmother, who knows Tae Ji and Latte used to be childhood sweethearts and so her hope is that Tae Ji can use the phone to protect the life of her granddaughter from the conniving manager who constantly blackmails her to not have anything to do with other people but only to safeguard her career because she is his hot meal ticket. Ahem. granny will getcha! Boo, Hiss! Latte starts to realize that the manager is onto her anyway despite her protestations of not knowing this young man personally. She witnesses the violence he and his female bodyguard commit toward other models in his agency. At one point he even has the amoral bodyguard push one of the models off a rooftop, killing her, a poor girl who had had enough and wanted to escape his lair. (Then we never see any consequences for this murder, which is ridiculous! ).